Some of the world’s greatest innovation is happening at universities. Many times the universities are not looking to commercialize this innovation, but for companies to take the technology and turn it into a viable, marketable product. 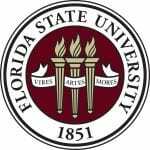 Florida State University and Florida A&M University both have teams within their universities who can assist private companies interested in using their technology. The Office of Commercialization (OC) is responsible for transferring disclosed FSU Intellectual Property into the marketplace. This happens by licensing FSU technologies to existing or startup companies to develop and market these early stage technologies. The OC manages projects ranging from the hard sciences and engineering to music and theatre, beginning with invention and work disclosures. When disclosures show a potential for commercial success, the OC staff seeks intellectual property protection (copyrights and patents) for the research and/or creative work, and then identifies commercial partners to negotiate agreements for continued development. The OC is also the point of contact for outside organizations and individuals wanting to locate, for commercial or other public purposes, the skills, inventions, creative works and other resources of the FSU research community. 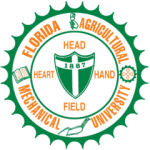 The Office of Technology Transfer, Licensing and Commercialization (OTTLC) works to facilitate the process, management, and commercialization of intellectual property generated by FAMU faculty, staff, students, and community partners. OTTLC provides guidance on setting intellectual property policies and procedures and helps identify and process the appropriate protective mechanisms including patents, copyrights, trademarks, trade secrets, service marks and domain names. The office also helps identify markets, negotiate licenses for new technologies, and arrange incubation services.